A new seasonal menu item is now available at Satu’li Canteen in Disney’s Animal Kingdom. 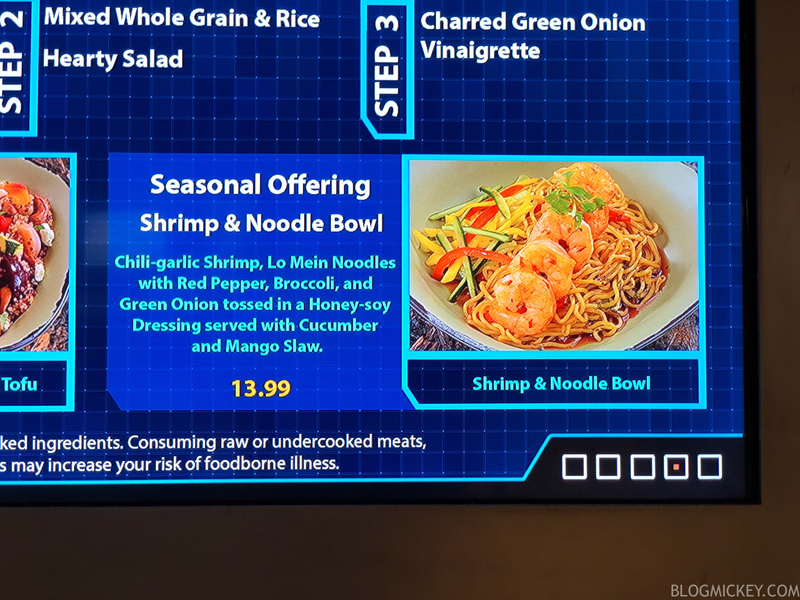 Located in Pandora – The World of Avatar, Satu’li Canteen has been a top contender for best quick service at Walt Disney World since it opened in May of 2017. Featuring fresh ingredients and hearty portions, the menu items at Satu’li Canteen never seem to miss. 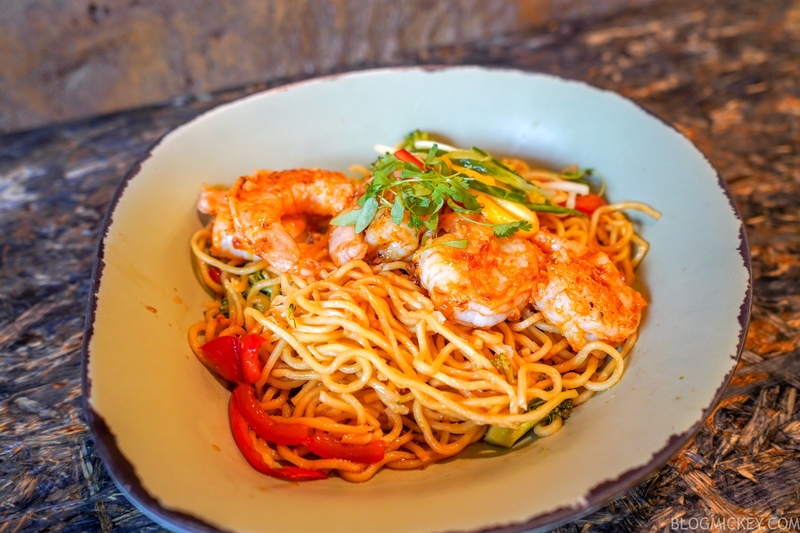 Today, a new seasonal menu item has arrived and it introduces noodles for the first time at the restaurant. 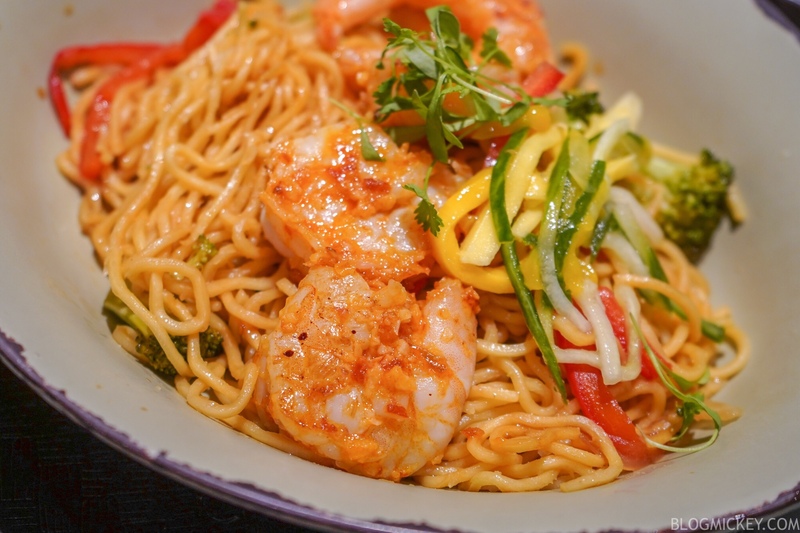 The Shrimp & Noodle bowl features Chili-garlic Shrimp, Lo Mein Noodles, Red Pepper, Broccoli and Green Onion tossed in a Honey-soy Dressing, and is served with a Cucumber and Mango Slaw. It’s Satu’li Canteen’s first attempt at a seasonal menu item. In your bowl you’ll find 5 large shrimp that all pack a spicy punch. 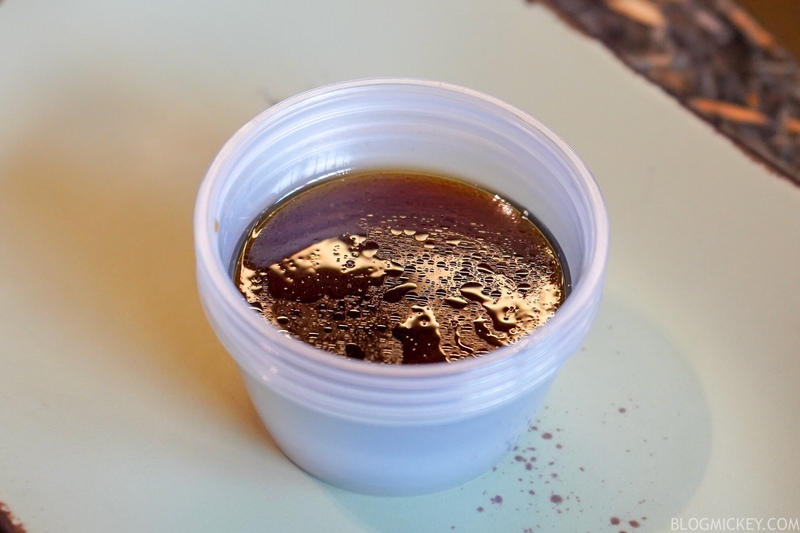 The chili-garlic adds a wonderful heat to the bowl and drives the flavor profile when you get a bite with shrimp in it. The rest of the bowl features well cooked lo mein noodles that originally came with slightly too little of the honey-soy dressing. Cast Members were kind enough to bring us a side to liven up the bowl and less than half of the cup provided the necessary flavor. Other elements in the bowl worked really well for a more Asian-style offering than we’ve seen in the past from Satu’li Canteen. The mango and cucumber slaw had a noticeable vinegar taste to it when enjoyed in a single bite, but worked well in the dish as a whole. Overall, this was an enjoyable dish that adds some variety of flavors to an already outstanding lineup at Satu’li Canteen. The quality of ingredients live up to the Satu’li Canteen standard, which makes this a dish we can definitely recommend on your next visit. Cast Members didn’t know how long the seasonal dish would be on the menu, but we’re betting it gets a couple months of traction, at least. 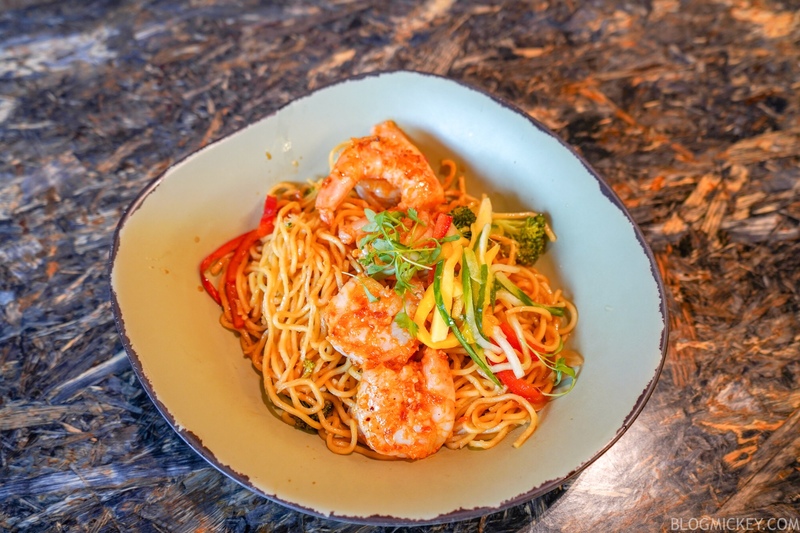 Cast said that if the bowl does well (we bet it will), the shrimp and lo mein will be added to the build-your-own bowl lineup. 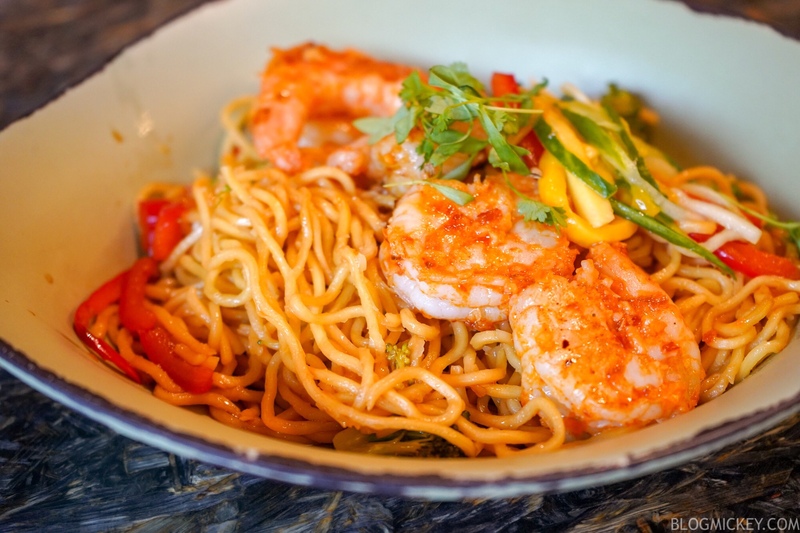 Recently enjoyed this exact dish of noodles and grilled shrimp with a creamy herb dressing. My husband and I shared the dish and were extremely impressed. We will definitely order it again if/when we return. Also, I throughly enjoyed the bubble drink from the stand next door!